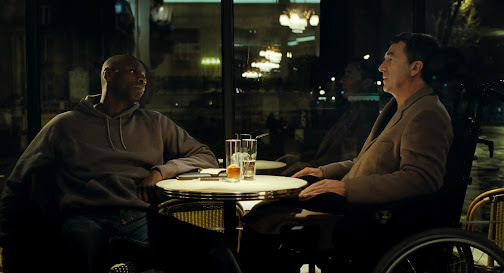 The true story of a wealthy, physically disabled risk taker, the picture of established French nobility, whose world is turned upside down when he hires a young, good-humored, black Muslim ex-con as his caretaker. 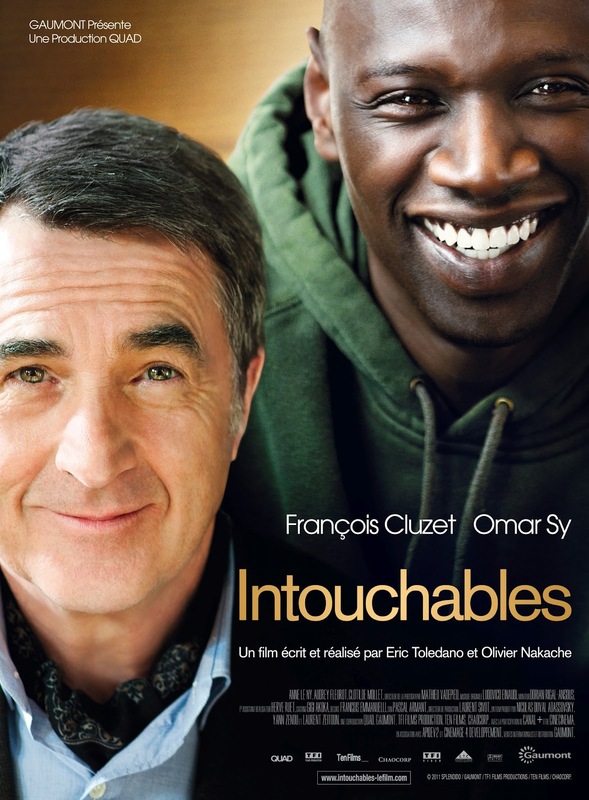 The Intouchables is a film written and directed by Olivier Nakache and Éric Toledano. 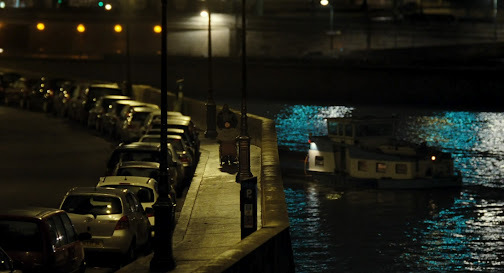 It premiered at the 2011 San Sebastian International Film Festival, and later became a huge box office success in France. 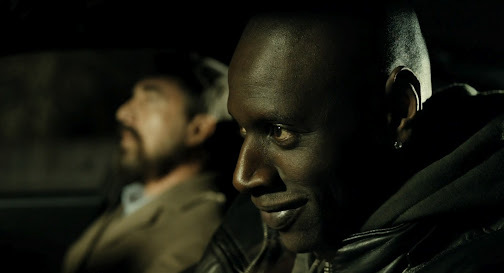 It was nominated nine times at the 37th César Awards, where Omar Sy notably won the Best Actor award against Jean Dujardin. 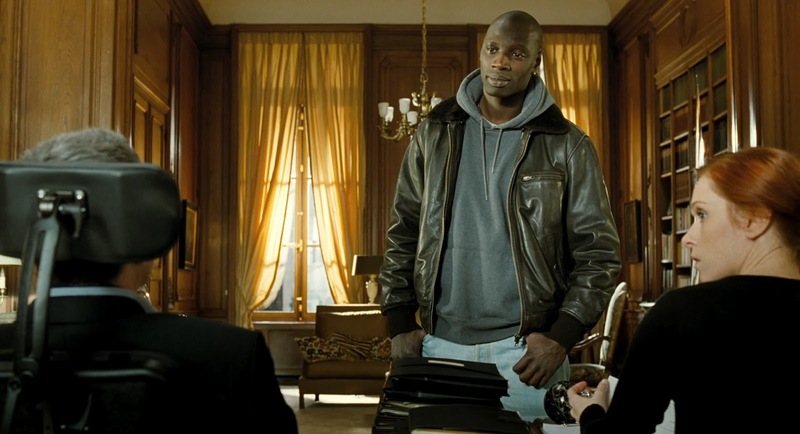 It's an entertaining and somewhat heartwarming but largely stereotypical and formulaic comedy drama that pits the disabled and ridiculously wealthy aristocrat Phillipe (François Cluzet) together with an ex-con from the projects Driss (Omar Sy), who is hired on a whim to be Phillipe's caretaker. In spite of their massive cultural differences, the two develop the most unlikeliest of friendships. No it isn't the most inventive scenario, and the non-stop gag filled screenplay is designed to elicit one cheap laugh after another, but there is remarkable chemistry from the leads which makes this surprisingly quite enjoyable. The pair really do play off each other well, Cluzet has plenty of hilarious lines, and Sy completely steals the show with his high energy antics. I'm not sure if I would vote for Sy for best actor, this isn't exactly a challenging or complex role, but he does posses an undeniable charisma that envelops the screen, and is definitely a lot of fun to watch. Bottom line, The Intouchables is a solid and simple feel-good French comedy with strong performances and plenty of mass appeal. By now, you all know what that means. I'm afraid I wasn't keen on this at all, and I'm a huge Cluzet fan. The only feeling it left me with was a disgust over its Uncle Tom antics. I found Omar Sy's role much more challenging and unusual than Jean Dujardin's... of course, few people make silent films today, but the character itself was incredibly stereotypical. As for The Intouchables, I really liked the film and found it entertaining and thoughtful at the same time - and as you pointed out, the chemistry between the two leads is wonderful. Sounds and looks a bit cookie-cut, but it also sounds refreshing. A good watch between harsher themed films for balance. It doesn't look unique in any respect but I think it will be entertaining, certainly. Nice review! I'm still shocked Dujardin lost that award, it's amusing that he won everywhere except in France. Does anyone else see Dustin Hoffman? 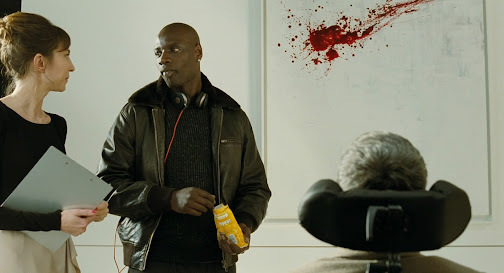 That seems to be a common critique of this film, but by and large it seems only American reviewers find it offensive. I thought both were entertaining caricatures but their acting was nowhere as challenging or captivating to me as say Fassbender or Oldman. Yep. 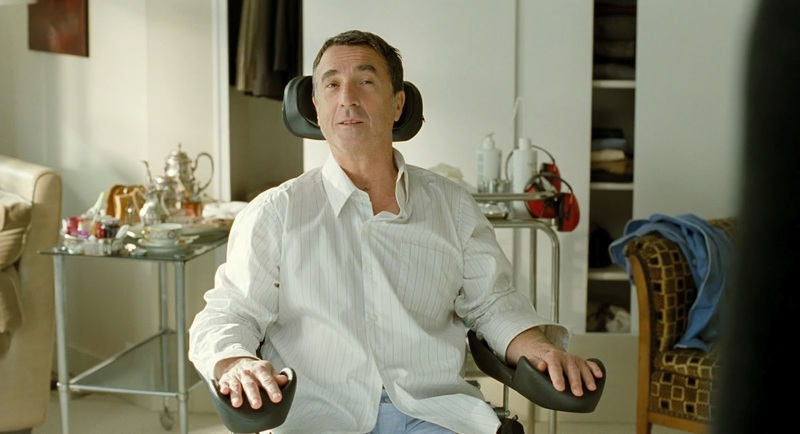 Cluzet has an uncanny resemblance to Hoffman. Yeah there's nothing new here, but it's good for a few laughs. I apologise for being so common. That is totally not what I was trying to imply . I just want a feel good movie, and this film put me in a good mood. The message of seeing ex-cons from the projects as potential employees and friends is very obvious, although it cannot be said often enough. I know what you mean about feel good movies, and I do have to admit, this one put me in a positive mood as well, if only for a moment. The white man on the poster sort of reminds me of Dustin Hoffman. I have this film on my watch list and I look forward to seeing it. Once more great review. Sorry that I havent been reading yours lately. 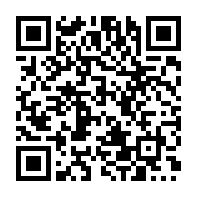 Summer is here now, so I'll be reading most of your new stuff. It's true, they do look a lot alike. Thanks for stopping by again!